Build and access credit within a trusted group, powered by the blockchain. John needs a new motorcycle for his delivery service. He can invite people he knows to help him save up. John creates a Lending Circle. Once he sets the rules and length of time, people can accept and join. John starts the Lending Circle. according to the rules John has set. pooled gets distributed to a single person in the circle. In some circles, people can bid to win the pool. In others, the pool gets distributed to people according to a set schedule. John can now afford his motorcycle. People in the circle have more money to spend, too. After the Trusted Lending Circle ends, John (or anyone) can start another to continue to save and borrow with others. 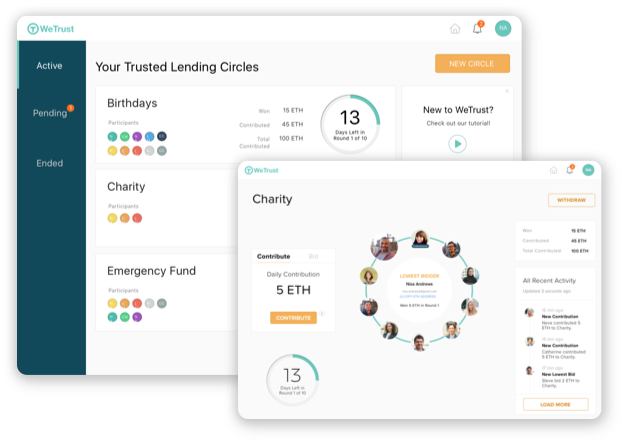 Create a blockchain-based Lending Circle dApp promoting financial inclusion and lay the groundwork for new financial tools for unbanked and underserved people throughout the world.  WeTrust is looking for local partners passionate about promoting lending circles as a tool for financial inclusion. Let us help you design a strategy to bring the power of the blockchain to your project. Our beta dApp is a demonstration of fully functioning lending circles operating with smart contracts on the ethereum network. There are obvious obstacles to full adoption in our target markets today, but we are working with the latest innovations in the blockchain space to address them.